There’s much outdoor fun to be had with your horse at CEC with conducted trail riding and opportunities to participate in fox hunting. Fox Hunting with Windy Hollow Hunt is offered during the July to November season on Wednesdays and Saturdays. CEC can trailer your horse to the Hunt for $25.00 locally or you can rent one of CEC experienced hunt horses for $75.00. Windy Hollow Hunt’s capping fee is $50.00 for adults, $25.00 for juniors. The price for the Formal Season from October until the end is $75.00 for adults and $35.00 for juniors. 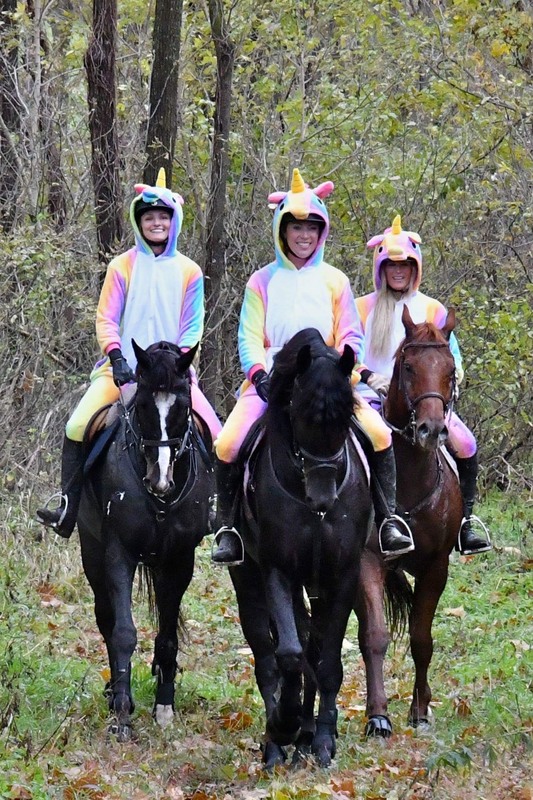 CEC offers conducted trail rides throughout the gorgeous 40-acre property for $60.00/hour.